Made his debut with Zain (Jordan) during the 2009-10 season. 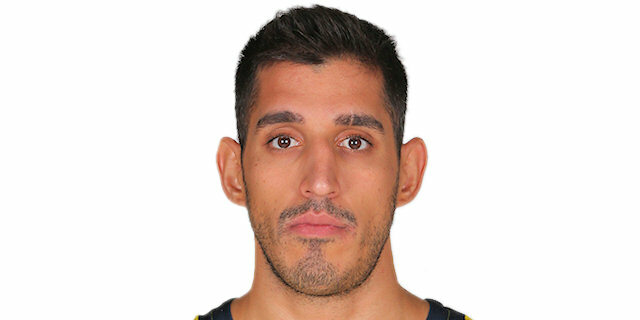 Signed for the 2010-11 season b Al Riyadi. Signed for the 2012-13 season by ASU Amman. Moved to Serbia for the 2014-15 season, signed by BC Mega Vizura. In November'14 moved to Turkey, signed by Pertevniyal Istanbul, TB2L. Signed for the 2015-16 season by Anadolu Efes Istanbul. Signed for the 2016-17 season by Fenerbahce Istanbul. Won the 2013 and 2014 Jordanian National Championship with ASU Amman. Won the 2016-17 and 2017-18 Turkish National Championship with Fenerbahce Istanbul. Won the 2015 Turkish President Cup with Anadolu Efes Istanbul.